Call now for service: (941) 629-2500, or get a free quote on installation. Enjoy a constant supply of hot water that is there when you need it and never runs out. There’s no more need for a space-hogging storage tank that wastes energy, working 11 hours a day even when there is no demand for hot water. 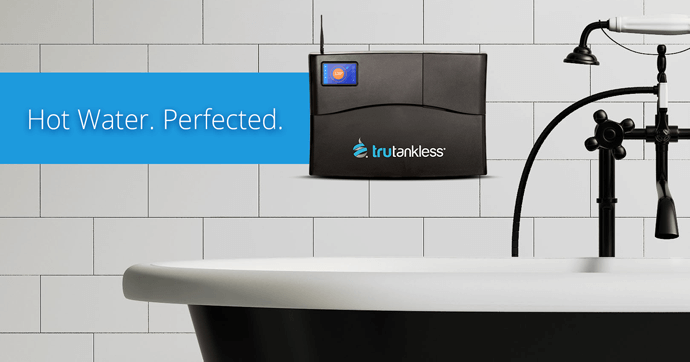 Introducing trutankless™ – the most innovative tankless water heating technology on today’s market. trutankless was designed with the modern family in mind, supplying endless hot water for the entire house. Our one size fits all solution means whole-home endless hot water for any size family or dwelling. Read on to learn how an environmentally friendly trutankless™ unit will save homeowners energy, valuable space and best of all money vs. a standard tank-based water heater. trutankless™ water heaters are built with cutting-edge technology. Energy conservation, long-term savings and endless hot water are what you want – and that’s exactly what this forward-thinking system delivers. A convenient app (iOS + Android) allows for remote settings, notifications and monitoring – all available for the peace of mind that comes with modern technology. Compatible with existing home automation and energy management systems. The trutankless™ unit’s compact size creates extra room for storage as well as unit location options. Perfect for condos, apartments, and other environments where space is limited. Our robust and reliable flow meter helps produce hot water at a consistent temperature, within one degree, even if sudden changes to incoming water temperature or flow occur. The units include numerous safety features along with technologies like dry-fire defense, freeze protection, smart grid capabilities and leak detection that prevent product failure. trutankless™ is configured with ideal performance in mind. But with adjustable power management settings at your fingertips, you can further enhance energy usage and performance. We’ve got you covered with a Lifetime Limited Warranty on the heat exchanger and a 2-Year Labor, 5-Year Parts Warranty. Extended manufacturer warranties are available. Energy wasters: Working 11 hours a day even in the absence of hot water demand. Limited: Once the tank is empty, your hot shower becomes a chilling experience. Space-Hogs: Storing 40-80 gallons of hot water takes up valuable space. Short-Lived: Need to be replaced every 7 to 10 years. A tankless water heater can last 20 years or more. A Safety Concern: Corrosion, leaks, scalding and explosions can be hazardous to your family. Unhealthy: Old water sitting in the tank could become contaminated with rust and bacteria. Prone to Failure: Two-thirds of tanks will rupture. That worry is a thing of the past with a tankless water heater. Traditional tank-type water heaters are also less energy efficient than tankless units. The only exception to this is a hybrid (heat pump) water heater. Are You Ready to Buy a Tankless Water Heater for Your Home? 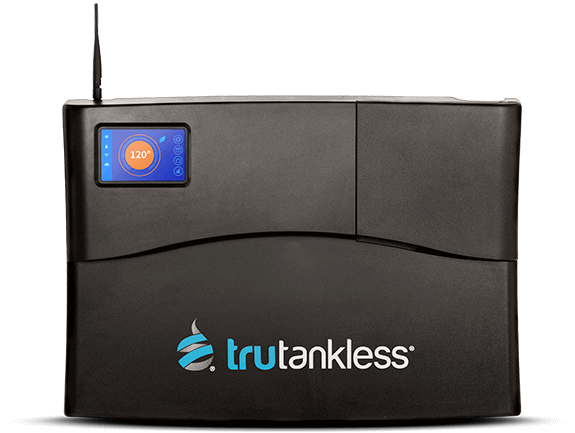 We are an official dealer for trutankless™ water heaters, with extensive experience in both tankless and tank-based water heater installation, repair and maintenance. All you’ll need to do is sit back and relax while we handle every detail of the installation, including permits and coordinating the electrical work. We’ve been providing our customers with professional plumbing service since 1957. 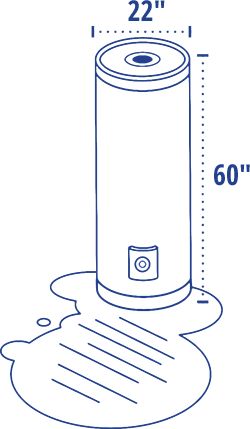 Based in Punta Gorda and Englewood, we serve all of Sarasota and Charlotte counties. Get a free quote on a tankless water heater for your home today! Call us at (941) 629-2500 or fill out the form below.